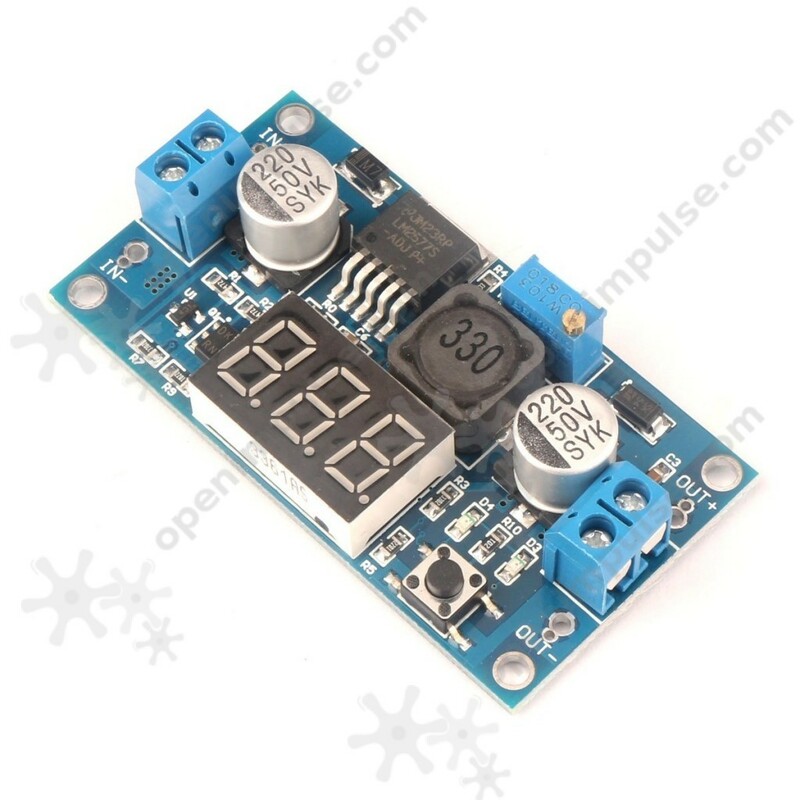 This is a power supply voltage with display with LM2577 chip which is very useful in obtaining higher voltages from the lower voltage at a maximum current of 2.5 A. 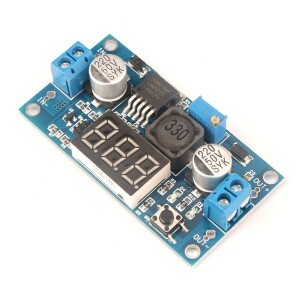 This is a DC-DC boost module with display for voltage. It is capable of obtaining higher voltages between 4 V and 25 V, from tensions between 3 V and 34 V at a maximum current output of 2.5 A. This is a very efficient module with an operating frequency of 52 kHz. It can be easily integrated in your projects because it's small in size. It is suitable for your projects that require high voltage supply, such as 1-cell or 2-cell battery power lipo.